Tension is mounting in the region as US President Donald Trump said he would solve the “North Korean problem” with or without China’s help. 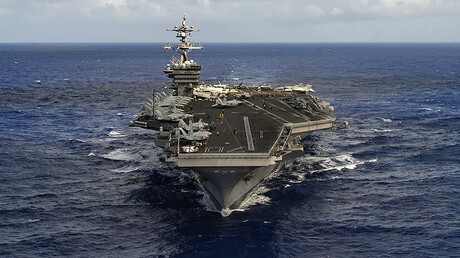 The warning came amid the diversion of the aircraft carrier group ‘USS Carl Vinson’ to the Korean Peninsula and a week after Trump ordered the US Navy to fire a barrage of 59 Tomahawk missiles at a Syrian airbase as punishment for an alleged chemical attack in Idlib province. Responding to US belligerence, Beijing called against using force against Pyongyang. “Taking military actions against North Korea is much more risky than launching a missile strike on Syria. Pyongyang is able to deal a heavy blow to South Korea. Regardless of Pyongyang's nuclear capability, a radiological dispersal device, or a ‘dirty bomb,’ if thrown on the South, will cause nuclear pollution, which will be unbearable to this US ally,” the newspaper warned. The paper said Washington needs to accept the reality that it “has no power to put global affairs in order at the moment” and work with other leading world powers on the Korean situation through the UN Security Council, a body that the US has shun by the unilateral attack against Syria. US allies in the region, South Korea and Japan, have both asked Washington to consult with them before taking military action against Pyongyang. Both countries station thousands of US troops on their territories. The escalation comes as North Korea prepares to celebrate the birthday of its late leader Kim Il-sung on Saturday, which is a state holiday called ‘Day of the Sun’. 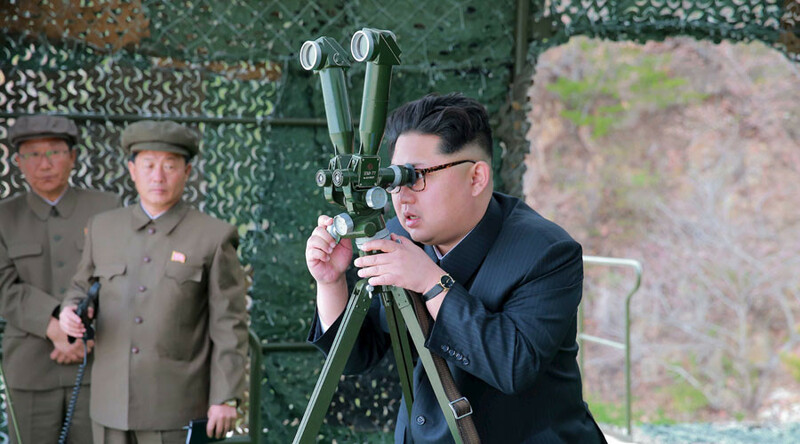 Pyongyang has a record of timing demonstrations of military strength to the date, as many observers say it might to so this year to test Trump’s resolve. A Washington-based think tank, 38 North, claimed on Wednesday that satellite images of the North's Punggye-ri nuclear test site indicated an imminent new test. South Korean officials disagreed, saying no new activities were evident, but added that a sixth test may be conducted at any time.